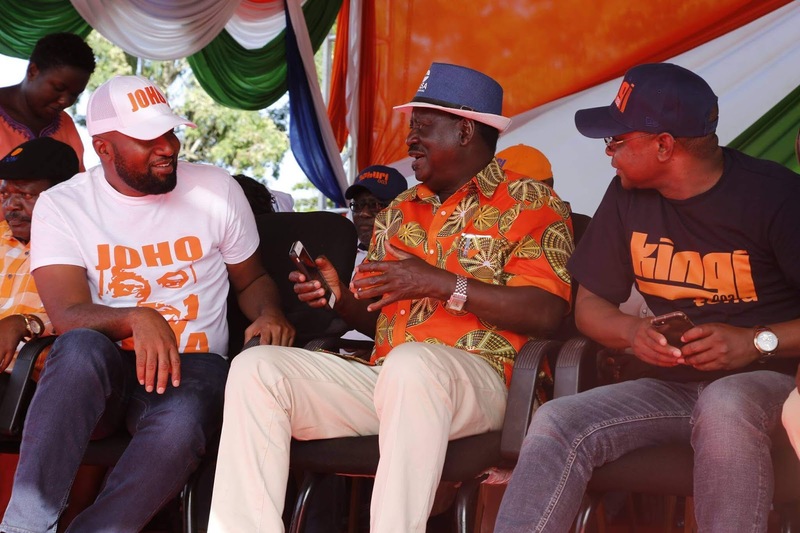 #NASAInPwani : " Historical injustices will be implemented fully starting from Next year in Coast Region. " Says Raila Odinga. - Bana Kenya News, Real African Network Tubanane. Home featured Mombasa #NASAInPwani : " Historical injustices will be implemented fully starting from Next year in Coast Region. " Says Raila Odinga. #NASAInPwani : " Historical injustices will be implemented fully starting from Next year in Coast Region. " Says Raila Odinga. Coast region was invaded by the opposition from all corners of the region. The NASA team sub-divided themselves to move across the area. The team led by Raila Odinga have a very big successful rally in Mariakani. The people were chanted "Jubilee Must Go!! ", the Rallies which are termed as "Unga Revolution" are expected to paint white and green across the country. Today, hosted by the able Governor of Kilifi County Amason Kingi, the NASA team led by the Rt Hon Raila Odinga got the opportunity to describe a different future for the great people of Kilifi. A future in which they are equal to any other Kenyan from any other parties of the country. Amason Kingi has consistently fought for this future. Raila Odinga and Steven Musyoka ARE this future. A large section of Kilifi County, from Mazeras to Mariakani along the highway, has developed largely due to Port related traffic. The insensitive implementation of the Naivasha Dry Port and the SGR will lead to the death of these towns. A NASA administration will be a caring administration. A NASA future is an equitable future. Then later addressed the residents of Mariakani as NASA stands their only champion to fight historical injustices that have dogged the Coastal region for decades now. The NASA flag bearer Raila Odinga said that the historical injustices will be implemented fully starting from Next year when they make the next government.Land and other tribal matters that have been sore of the region and that will be the first agenda to devolve the Land issues to make sure there is equity.